I've been a terrible poster over the last few weeks, as I've been moving home. The internet connection is still to come, but I thought I'd pop on this illustration I did yesterday. I wanted to do a nice version of the usual playing card designs, which when you look closely at them, are really quite ugly! 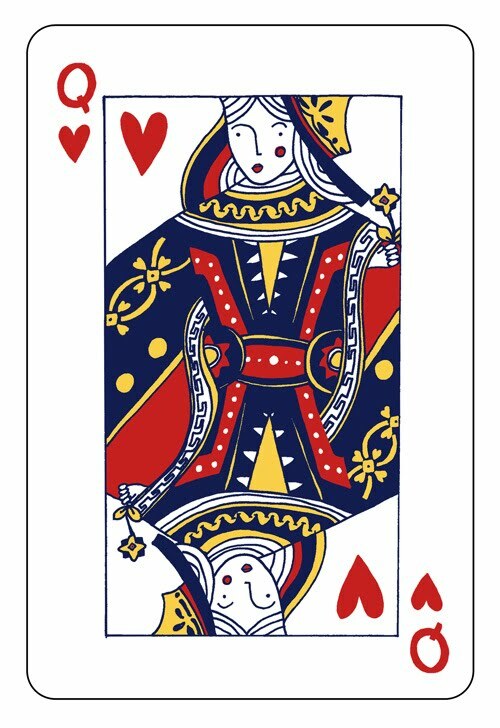 And of course the romantic in me chose the Queen of Hearts as the one to do! That really is a lot nicer than the usual card designs! Hope your internet gets sorted soon!